Motorola V635 Reviews, Compare Motorola V635 Mobile Phone Reviews at Review Centre. My Motorola V635 constantly freezes whilst watching videos and recently I haven't been able to send texts/write anything but numbers, as it freezes. Also the MP3 player doesn't work, after a while. I bought my Motorola V635 in February 2005. It looks good, has a nice range of ringtones and screensavers, and shiny buttons. It is also easy to customise the settings. I have had my Motorola V635 mobile phone for almost a year. It was an upgrade from a Motorola V500. Overall, I have been pleased with all aspects of the phone. It is easy to use and I have had no problems with it. I like the Motorola V635 mobile phone overall, but it has one or two faults I wish I'd known about before I bought it. It does not date or time stamp messages, so you have no idea when they arrived. It needs multiple key presses to use the phone book search, which is not easy at all. 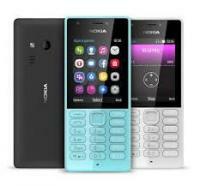 Predictive text is frustrating if it doesn't know a word, and it is hard to change compared to a Nokia. The Motorola V635 mobile phone disconnects and resets itself during calls, both incoming and outgoing. It is impossible to have a conversation on this phone as it cuts out during calls. I have had the Motorola V635 for almost a year now, I am on my second phone, as they do tend to develop a fault in that you sometimes can't hear the person calling you. Swapped for a new one and after a few months the problem seems to be coming back, but no where near as bad. The MP3 ringtones are great and the even include a cable and software, where as Nokia would make you buy them ! I am now on my 4th Motorola V635 handset and still can't use it. The first one developed a problem with the microphone, people couldn't hear me, and was exchanged. The second dropped calls from the start so this was exchanged, the screen just goes white, then as it tries to re-set itself it initially says 'no service' then the icons etc gradually come back on again - there is no indication of low signal when this happens it just happens about 5 out of every 6 calls any time between 0 seconds into the call and about 4 minutes in. The next handset did the same and so does the present one. I have had to go back to my previous handset in order to use my monthly minutes from Orange. They do not want to believe me when I tell them that the V635 has a problem (even though this was backed up by the man in the local Orange shop who has come across this same problem with this particular Motorola handset lots of times with other customers). 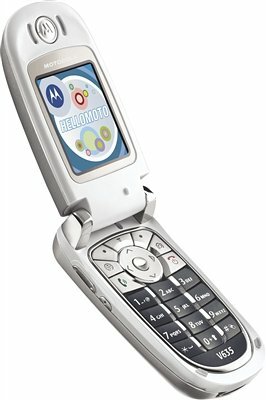 The Motorola V635 mobile phone is so good! I am getting it for my birthday (hopefully). I have tried it out in many phone shops, and I finally decided to ask my mum for it for my birthday. I've had a Motorola V635 for 4 months and am due to send it off again for repair. Within 1 month the earpiece volume started to go quieter and within 2 months I couldn't hear anybody. I was advised to ring Motorola and then to send it off for 2 weeks for repair (postage and packaging at my cost). Since it has been returned, the earpiece volume started going again after a month and a month later - it's gone again! I got my Motorola V635 after upgrading from a V500 a Month ago and am very happy with it. It has a 1.3 megapixels, Bluetooth and an OK Video Camera. It plays MP3's and these be can transferred easily from your PC and made as your default ringtone if you want. Has a 5mb internal memory'but mine came with a 32mb transflash card as well'but I don't know if this is standard. I have put about 30 small movies on the card and still have about 10mb left. Rubbish! Gary and I have both had our phones for a good five months now. And I can honestly say that I will never buy a Motorola again. Everytime I put the phone in my handbag the buttons on the side bump, and the volume of the ring changes. Half the time I cant hear it, because it has bumped itself into vibrate mode. <br>Also, the sound of the call has diminished! <br>The front cover slides off very easily and Gary often has to look for it in the footwell of his car. <br>Not the best phone I have used!! !